Can Chapter 11 Bankruptcy Halt Business Collection Activities? Debt Problems Part 3: Can Chapter 11 Bankruptcy Shield Businesses from Collection Activities? Businesses experiencing financial difficulties may be unable to pay their debts. Creditors may start filing lawsuits to cover their losses. Filing for Chapter 11 bankruptcy can shield businesses from judgments and other collection activities filed by creditors. An automatic stay is issued when a business files a petition for Chapter 11 bankruptcy. This means collection attempts against the business may temporarily grind to a halt. Creditors cannot seek judgments against the business unless they file a motion to lift the stay. An automatic stay can protect the properties and other important assets of a struggling business. However, Chapter 11 protections may offer businesses more maneuverability to handle their existing debts. There are other protections offered by the bankruptcy code that make this possible. Are There Other Benefits to Filing for Chapter 11 Bankruptcy? Chapter 11 bankruptcy allows a business to reorganize its debts (hence why Chapter 11 is called the reorganization option). With the help of a bankruptcy attorney, a business can negotiate new terms with creditors. These new terms can include extended repayment periods or lower interest rates, which can result in lower monthly payments. Businesses also retain control over operations under the supervision of the bankruptcy court. Finally, Chapter 11 repayment plans can last for up to 10 years. To compare, Chapter 13 repayment plans are three to five years. Chapter 11 bankruptcy is beneficial to businesses who are experiencing aggressive collection actions. Businesses can reduce debt obligations, stay in control and prevent assets from being seized by creditors. 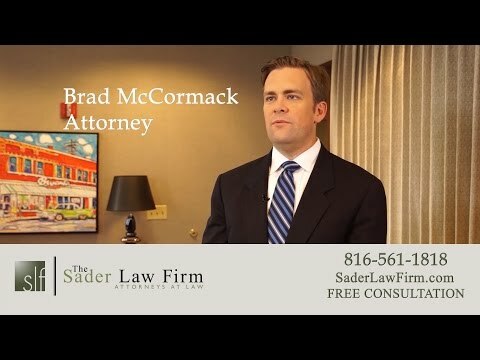 The Kansas City business bankruptcy attorneys at The Sader Law Firm can help struggling businesses look at various options for resolving difficult financial situations.